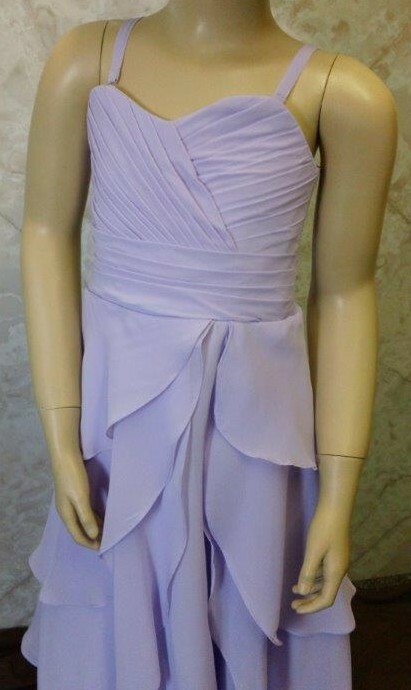 Purple long chiffon bridesmaid dresses. 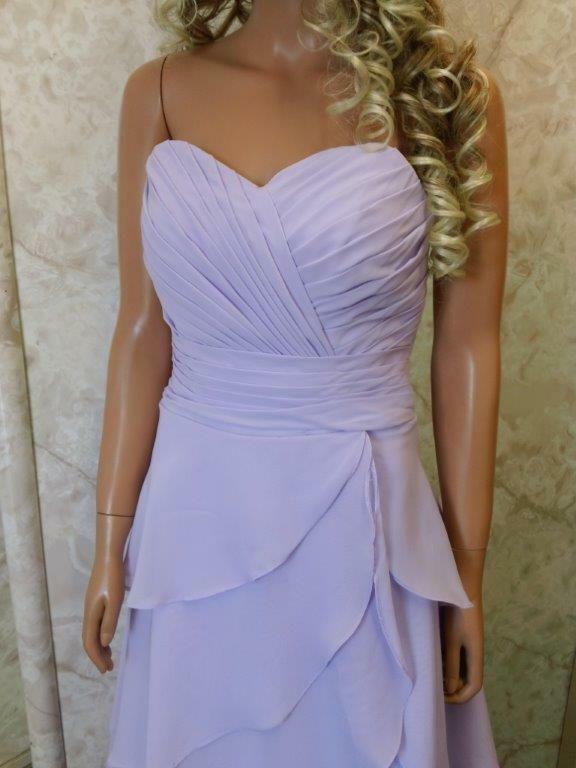 The strapless bodice features a sweetheart neckline and feminine ruching down to the waist. Elegant layers of ruffles tier down the gown in a breathtaking draping design. The full-length skirt tilts to the floor. Thanks so much! The bridesmaids dresses are beautiful by the way! Everyone loves them. ‍This dress was created at our factory, from our customers photos, for 3 adult and 2 child of dresses. ‍We custom manufacture design inspired gowns which closely resemble the photographs. Each dress is similar but not exact to the original. Every dress is custom Made according to the specifications of the buyer.